In our Multilingualism in my family series this week Cordelia tells her story. She is raising multilingual daughters (currently in Thailand). Many thanks Cordelia for taking the time to answer my questions. My husband and I speak English. I speak French to the girls. My husband tries to speak mostly Spanish to them but he slips into English a lot these days. The small one doesn’t speak yet and the older one speaks a mixture of French and English to the little one. (English more dominant). Our helper speaks limited English. She speaks to them with some Thai. At preschool my eldest hears primarily French, some Thai and some English. The baby is in a bilingual English/French nursery. In the environment they hear mostly Thai, some French and a tiny bit of Spanish. They hear a fair amount of Burmese as well. We set out to use OPOL as at the time it seemed like the most logical and simplest way to approach our situation and I grew up hearing my mother speak French and my father speak English which worked for me. At this point, (and it depends on the day) I don’t know what I would say works. I think that each child is so different you can use the same methods and get very different results as to when they start speaking certain languages. What I find seems to have the greatest impact is consistency as much as is humanely possible when you are navigating a multilingual environment. The more I speak French, the more my daughter does. When I regress, she does too. Another thing that we haven’t done enough but seen big results is getting them in an environment where they hear others speaking the language. It is EXTREMELY difficult – not impossible but difficult – to teach a child a language in a vacuum. My understanding is that children actually acquire much of their language from listening and watching other people speak to each other vs you to them. I’ve definitely seen Pacifique open up to languages when she hears other people she is intrigued by speaking them. She refused to try any Thai with me but after seeing our helper use it with other people, is now very excited about learning it. Same after spending an afternoon with a family that spoke Spanish, she suddenly was more interested in trying to speak Spanish with her father. And I’ll be honest, the real acceleration happened when we ended up being in a position where we could send our 4 year old to the French school. I know she would have eventually spoken French but it wouldn’t have happened so soon. The language balance in our house doesn’t work. Spanish is massively under-represented and that makes me sad because the girls are half Mexican! As much as the foundation was put down for the French and even when my eldest used to refuse to speak, I knew she understood, we are seeing the Spanish wither on the vine due to lack of exposure with their father working so much. I would have put more effort into my Spanish before the girls were born and after of course. I‘ve had so many opportunities to really improve it and have wasted them. Given how much my husband works, it would really help if we spoke Spanish together. I think then the balance would be much better. I still believe the most important thing is to not get too worked up and frustrated about it. You don’t want your children picking up that language issues are stressful. 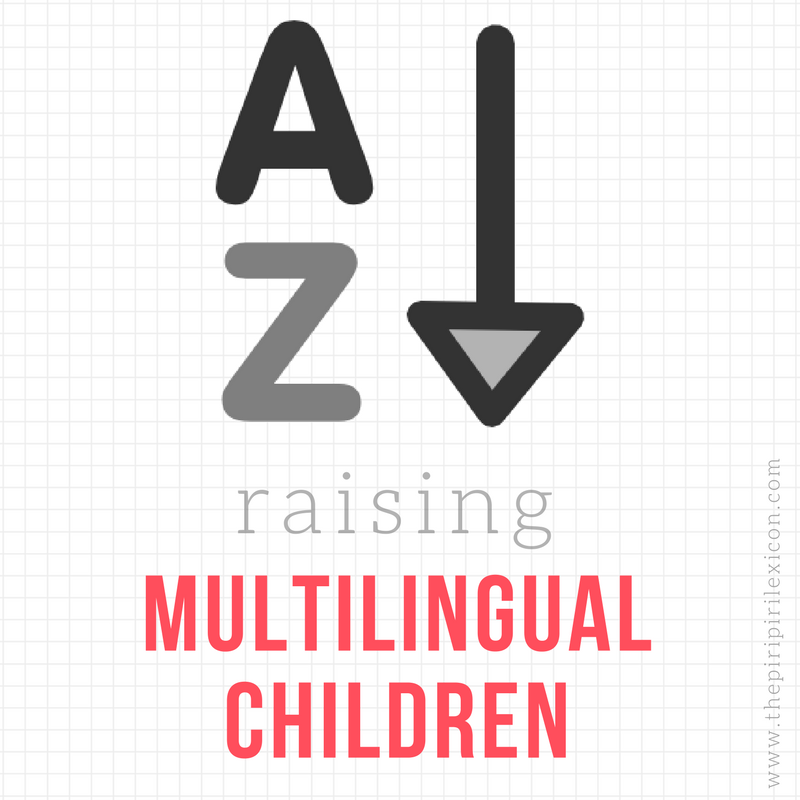 Anyone who is attempting to bring up their kids multilingually is already doing so much and giving a great gift to their children both in terms of language but also cultural awareness and understanding. Ah yes, teaching in a vacuum is so hard! Excellent interview, thanks to you both. I am so afraid of this myself especially as hubby is working lots too and is not sticking to Portuguese when he is here!